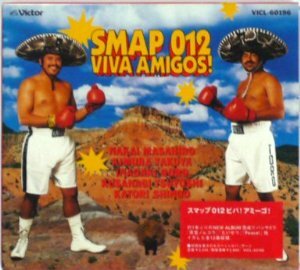 ALBUM SMAP 012 VIVA AMIGOS! hey hey hey, it's cool, my girl! 二人で生きよう　my babe you're so fine! 追いかけて　get! get a dream! asu no koto nado dare ni mo yomenai bad times! futari de ikiyou my babe you're so fine! yume wa kanau to shinjite inakerya no, no, no! itsuka futari ni megami ga hohoemu that's right! oikakete get! get a dream! soba ni wa kimi ga iru you're so fine!